Welcome to The Quilted Gallery. In these pages you’ll find art quilts, contemporary quilts, quilted clothing (wearable art), and more. 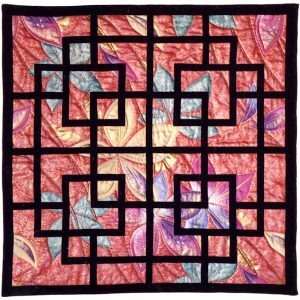 Featured quilts are hand-crafted and may be used as bed coverings or wall hangings to adorn your home or office. 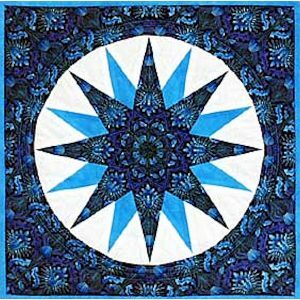 If sewing or pieced quilting is your hobby, or if you’re already an experienced quilter, take a look at the quilt patterns available, which include Mariner’s Compass; Chinese lattice designs; quilted bargello jackets; bargello vests; and my Christmas Ornaments pattern, which makes use of fabrics with metallic gold. Shopping for a special gift? 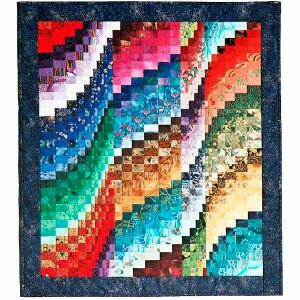 Look at the section on color-shift bargello quilts and my new line of sweep bargello quilts. Many are one-of-a-kind. Also featured are handmade kaleidoscope art cards and handmade fabric purses.